It's Ceal, it's my Tuesday to share a project with you today. 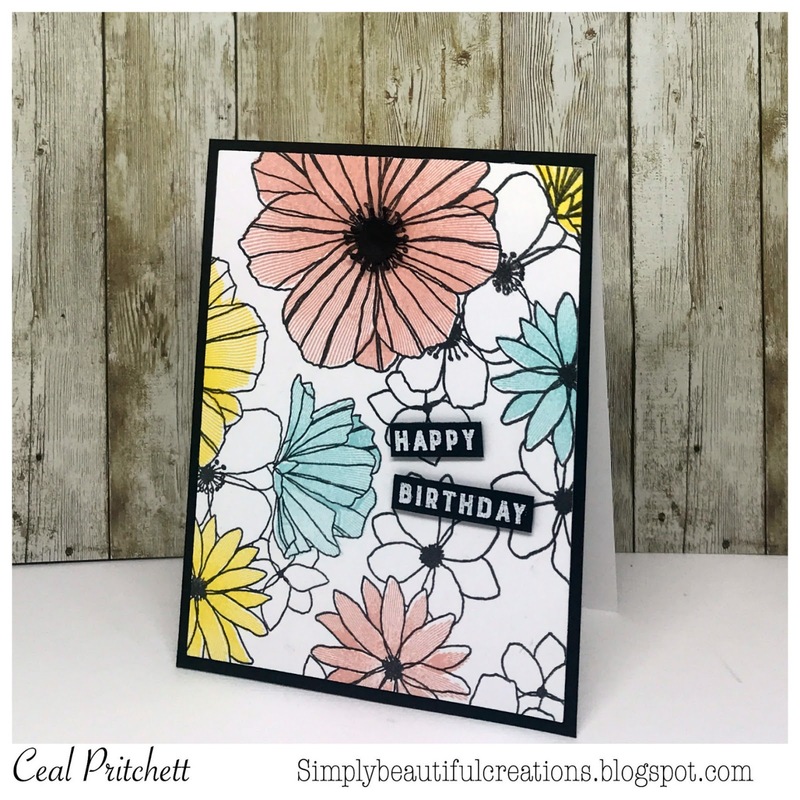 I am sharing a card I created using a gorgeous set Fine Line Florals along with the matching dies This bundle has become one of my favorites by Concord & 9th. I started with a white card base and a white panel. 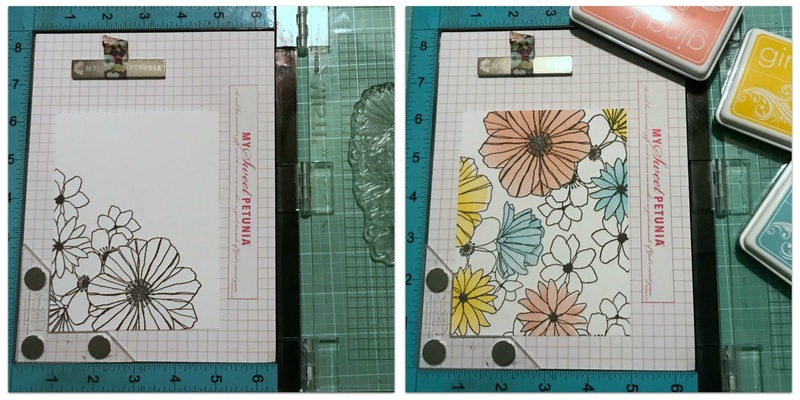 I placed the panel in the Original MISTI and used the Creative Corners so I could stamp the entire panel with the floral image and then go back and add some color on certain flowers. I used Peach Bellini, Wild Dandelion and Sea Glass inks by Gina K.
For the greeting I stamped the Happy Birthday sentiment using Gina K embossing ink on a black onyx strip of card stock and embossed it using white powder. 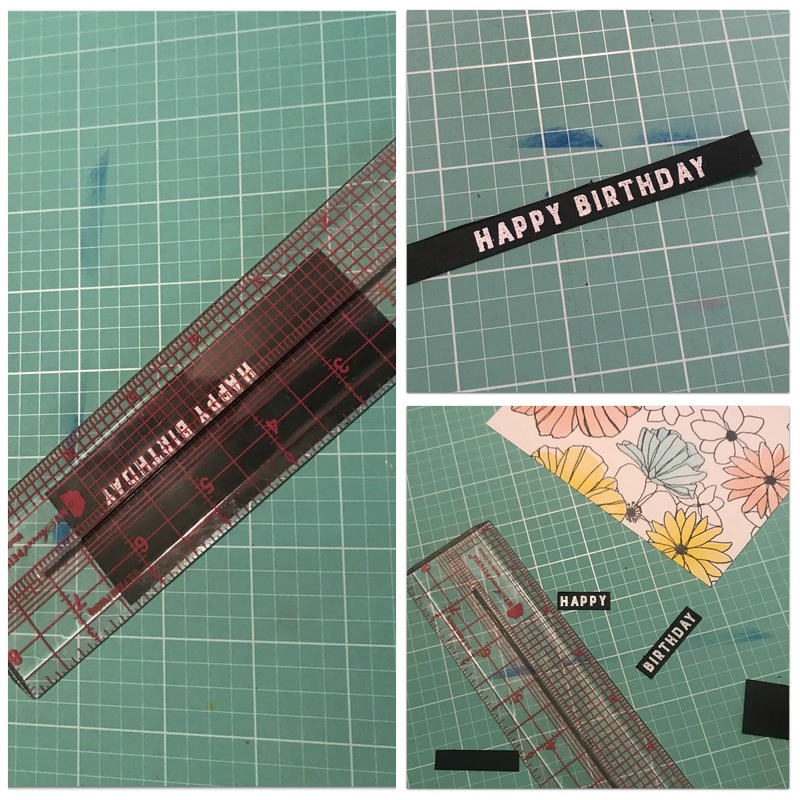 I used the Cut-Align to cut the greeting down and I also wanted it in two pieces. The Cut-Align makes it so easy to get a thin greeting. 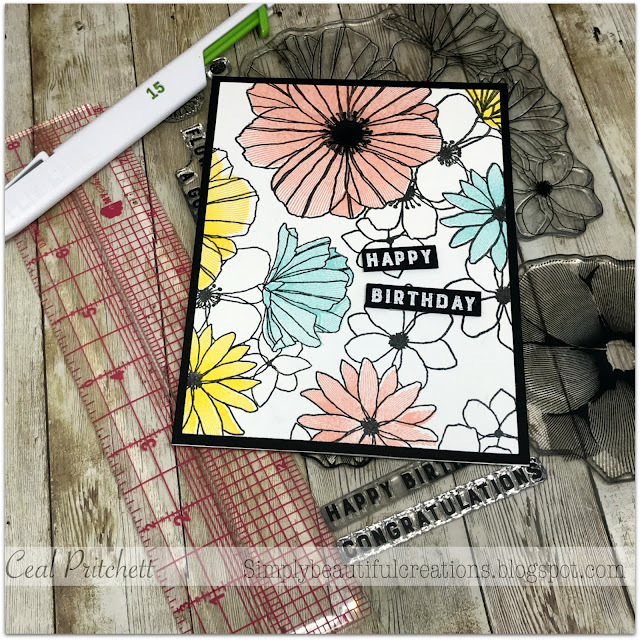 To finish the card I popped up the greeting using foam tape and added it to the focal panel, next I added the panel to a piece of Black Onyx card stock and then adhered that to the card base.